Effective exterior signage is crucial for your business. 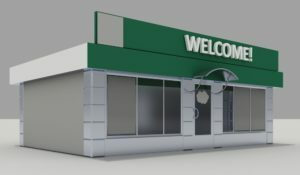 A sign on your awning, or on the fascia above the awning, is an ideal location for quality signage. Fascia or awning branding improves the appearance and appeal of your business, builds brand recognition, and promotes your products and services. Speak with your local Accent Signs design experts to find out how we can transform your business with some great fascia or outdoor signage options. At Accent Signs we offer a full installation service by our qualified staff.